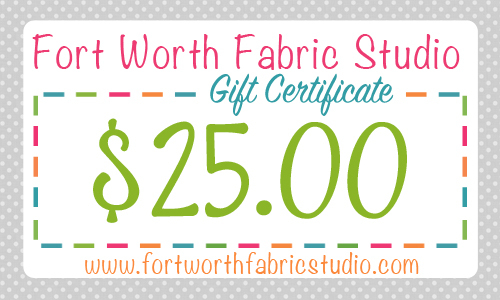 It's giveaway Monday again and this week Fort Worth Fabric Studio are giving away a $25 Gift Certificate. And in case you're wondering what you'd spend it on, here are a few suggestions: Daily Grind by Quilting Treasures. 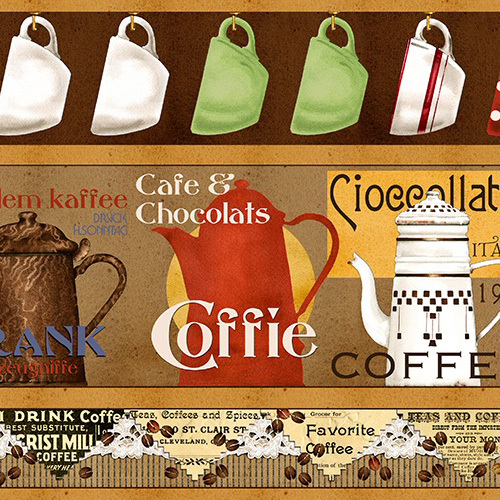 Fabulous coffee-themed group - yardage, the panel, and a quilt kit available. 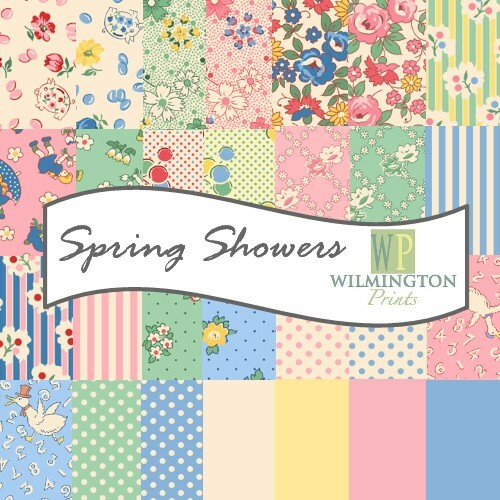 Current sale: 30% off all Spring Showers by Wilmington with code SHOWER30. And visit their Holiday House if you'd like to browse Christmas & Holiday fabrics. And last but not least you can now preorder Star Wars The Force Awakens, due to arrive late November. Panels, yardage, and fleece available for pre-order. 2. Either sign up to their newsletter which you can find here or like them on facebook and let me know that you did. 3. For an extra comment, share on social media - one comment per share. 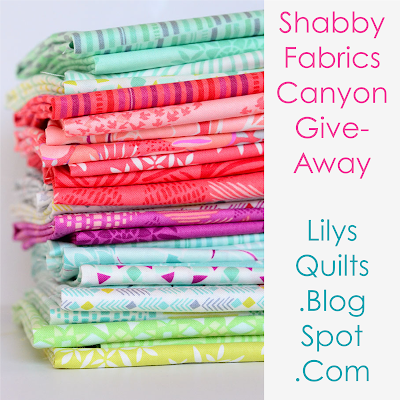 And the winner of last week's Canyon giveaway from Shabby Fabrics has been chosen by random number generator and is Dody! Love your suggestions - now if I only win! 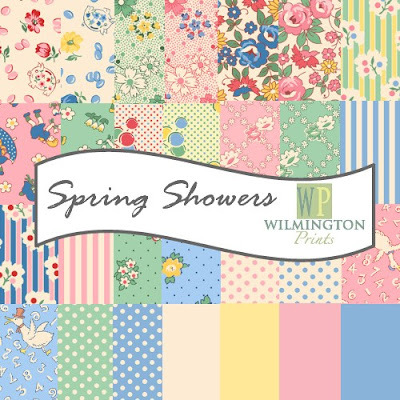 Those Spring Showers prints are so pretty! I would use it for the coffee theme fabric, love it! I love FWFS; they have excellent customer service! I already like FWFS on FB. They've got some nice bundles on sale. Going to have to do some shopping! I've liked Fort Worth Fabric Studio on Facebook. The Daily Grind collection would make some awesome projects for gifts! I have many coffee-loving friends! I subscribe to Fort Worth Fabric Studio's newsletter. I receive the Ft. Worth Fabric newsletter. I like the Daily Grind fabrics. Lots of beautiful fabrics at FWFS!!! I appreciatthe chance to win some! I subscribed to FWFS newsletter. They have wide quilt backings, too! I receive the Fort Worth Fabric newsletter. I already receive their newsletter. Love that Daily Grind fabric! Star wars fabric makes me smile. I follow fort worth fabric on FB and thank them for their generosity.. I love that shop! Thanks for the great giveaway! Love the Spring Shower fabric! 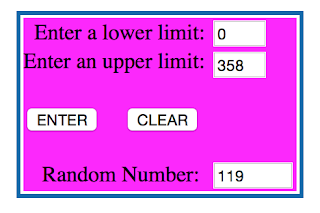 Please count me in for the giveaway. Spring Shower fabric is cute. I've been very happy with my Fort Worth fabric orders. Love that coffee themed fabric line - so cute! I somehow missed that Spring Showers line. Thanks for pointing it out to us! Thank you for the chance to win! That dog fabric from Friday's post is a must have for my stash now! Liked the Fort worth fabric studio. They have great taste! No trouble spending the gift amount if I'm the lucky winner! Thanks! Thanks for the chance to do a little shopping. I need some quilt backs. I love Fort Worth Fabric - I've ordered from them many times! I get the FWFS newsletter! 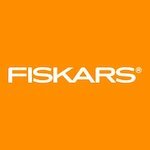 I just liked Fort Worth on Facebook! There are some gorgeous fabrics that would be my choice, of course, it would take quite a bit of time to choose exactly which fabric! LOL. 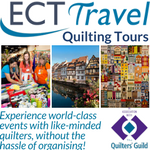 Designers of fabrics, quilts and other crafts are truly amazing and so talented; it gets harder and harder to choose! Thank you for the opportunity to win this splendid prize and have a wonderful creative day! Thanks for the chance to win. I'm in a solids collecting period so that's probably what I'd aim towards. I've had some excellent service from FWFS. Thanks for the chance to win! I like/follow FWFS on FB! Finding fabric to buy is never a problem for me! Thanks for the giveaway. I follow Fort Worth Fabric on FB. Oh happy day, my fingers are so crossed. Thank you! Been looking high and low for the coffee bean print. Thank you FWFS for stocking it. 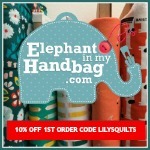 Thank you Lynne for sharing their shop deals/sneak peaks! Love FWFS! Thanks for the chance! Shared via my FB page. Thanks for the chance. I may need to get this bundle: Dot Dot Dash by Me & My Sister Designs. They have some lovely bundles for sale, especially some imaginative custom bundles. I love it when shops make custom bundles around a colour or theme. Thanks for a great giveaway! FWFS has such beautiful fabrics to choose from and I love their custom bundles! I just love the sale section at Fort Worth…I see so many items I NEED!!! I get the Fort Worth email newsletter AND I like them on FB! Thank you for this wonderful chance!!!! I really like the Spring Showers! HAPPY TO FOLLOW FWFS ON FB ! HI, I LIKE "SPRING SHOWERS">VERY PRETTY! THANK FWFS+YOU FOR A NEAT GIVEAWAY! 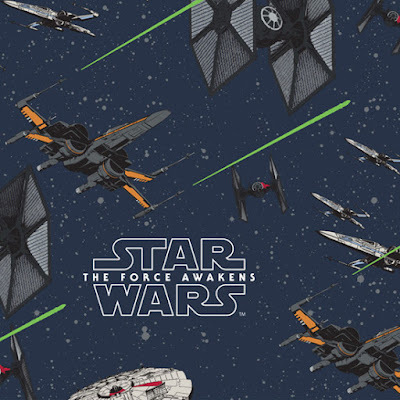 Love that Star Wars fabric - I have boys who would just adore something made with that! I love the Spring Showers. I love pastels. I can't believe that it is almost Thanksgiving and Christmas is just around the corner sneaking up on me...again! I am already signed up to receive Fort Worth Fabric Studio newsletter. I love the daily grind fabric! I get their newsletter! Love their shop! I love this shop and have a ton of fabric on my wish list that they carry. Thanks for the chance to win!! I get their newsletter already. I love it! Fort Worth has a great selection of fabric. Thanks for the chance to win! I like Firt Worth Fabric Studio on Facebook. Thanks again! The fabrics are so pretty. I love 30's prints. So cheery. I folow FWF on FB. I really like the Spring Showers collection. Already receive the Fort Worth Fabric Studio newsletter and follow their blog. Oh, I love that Spring Showers fabric! Just might have to get me some! I follow Fort Worth Fabrics on Facebook and get their newsletter already! I've already got my eye on some Dear Stella fabrics. Thanks! I really like Fort Worth Fabrics' selections. Lots of pretty things to choose from. Thanks for a chance to win. Whoop Whoop its on like popcorn... Thanks for the giveaway. Great Ideas on your blog. I already receive Ft Worth newsletter. I follow Fat QuarterShop by e-mail and on FB. Ooohhhh - I LOVE the Daily Grind collection! This would be a great pre-Christmas present!! What a great gift idea!!! Thanks for sharing! I follow FWFS on FB and I get newsletters!! I receive the FWFS newsletter. I love Fort Worth Fabric! I'm on Ft. Worth's email list. Their service is great. Thanks. We had snow yesterday and last night. Not a lot on the ground but it's sure messed up the roads. I had travel plans but instead I'm planning a quilting day. Thanks. The Friday bundles always tempt me. I DO receive the newsetter! 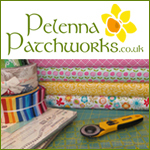 Oh dear, another tempting fabric website. love the daily grind fabrics. i follow on blog lovin,. I just love the Daily Grind collection! Thanks! I receive Fort Worth Fabric's newsletter and follow their blog. Thanks! Fun, thanks for a great giveaway. I love that Spring Showers fabric. Just my style. I take their newsletter already. Thanks for the chance to win. I do love the coffee fabric! 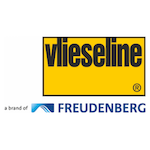 I follow the FWFS via e-mail and Facebook. I already received Fort Worth via email. Thanks for the opportunity to win! I have no idea what I would purchase but would love to win! Quilting and stitching is my passion - gotta have fabric! I love FWFS. They have awesome fabrics. The also take the time to cut their fabrics almost perfectly and press them nicely. The package I received from them was the nicest package of fabric I have ever gotten thus far from an online shop. I like FWFS on FB. Mmmm Star Wars and coffee, lovely. Yay, another great Monday giveaway! wonderful giveaway! Love Christmas fabrics! 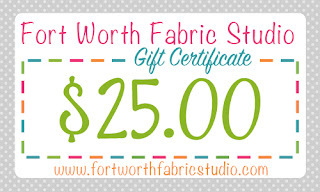 I would love to spent $25 at Fort Worth Fabric Studio.